Harley has come down from the mountain top and joined Brett for a trip to The Natural State. 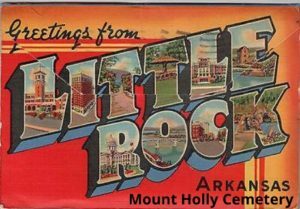 On this episode we discuss the haunted Mount Holly Cemetery in Little Rock, Arkansas. What happens when you start moving people’s graves? 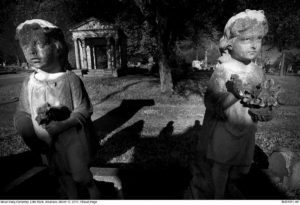 We have a great interview with Linda Howell, author of Haunted Little Rock and Life At Cedar Meadows Farm, is an independent tour guide and owner of the tour company, Haunted Tours of Little Rock. She starred in the national television show A & E Biography, My Ghost Story and assisted Ghost Hunters in acquiring a location for their show, Ghost Friends Forever. In addition to making several appearances on local television, she had a cameo role in the movie, SEEKERS. As location coordinator for the movie, The Trial of David O. Dodd, she was instrumental in acquiring historic locations and props. 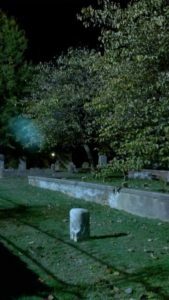 She is a paranormal researcher, investigator and history advisor to the Arkansas Ghost Catchers. This oddity is spooky, but if you don’t like spooky, then you may want to check out Pinnacle Mountain. No Episode of the Travel Oddities Podcast would be complete without a place to grab a bite, and since we are a travel show, we couldn’t pass up a the All Aboard Restaurant & Grill…they deliver your food to your table via model trains! The Top 5 now with more music.